Ever sent a text and then realised that you sent it to the wrong person? 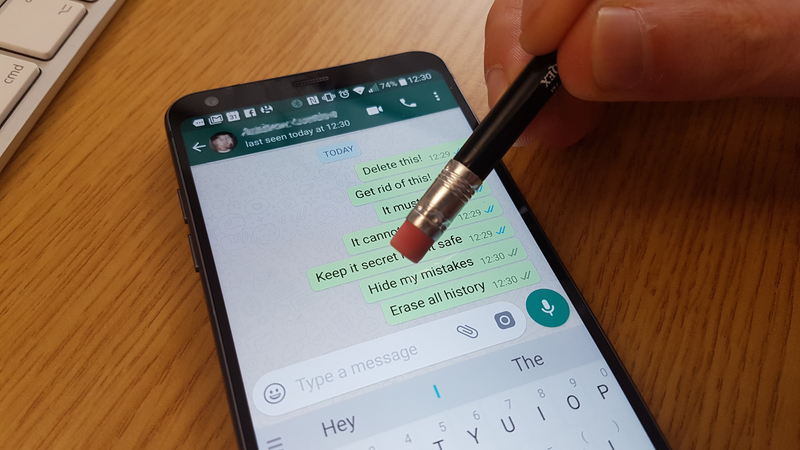 Well, instead of replying with “Sorry wrong chat”, you can now use WhatsApp’s new feature which allows you to unsend a message. This feature can be used on both group and normal chat simply by using the option “Delete for everyone”. WhatsApp has finally listened to user demands and rolled out this feature. Once you hit the delete for everyone option, the content of the message will be gone but not without a trace. The deleted text will be replaced by “This message was deleted” which will indicate to the user on the other side that you sent something by mistake. This feature has been much welcomed by users to help them hide their future embarrassments. However, as good as this feature might look on paper, it has a few catches associated with it. Firstly, you’ll have to act within seven minutes after sending the message else you won’t be able to delete it for everyone. The second issue is that it may not work unless both parties have the latest version of the app installed. While you might be pretty confident that the other person on a one-to-one conversation may have the latest version, this feature may not work so well on a group chat where not everyone will update their app to the latest version. If you haven’t gotten this feature yet, update your app and give it a go, but remember that the other party might not support it so there’s still a risk factor for now. Have you used this feature yet? How useful do you think it might be? Let us know in the comment section.